After the unexplainable death of her mother on the eve of Natalie’s fourteenth birthday, she is suddenly forced to grow up. Compelled to leave her dismal and deceptive life behind by a mysterious woman who claims to be an old relative, Natalie carries with her the highly coveted, scarlet stoned ring she reluctantly retrieved from her mother upon her death. Following Natalie’s irreversible decision, she unexpectedly finds herself alone and thrust into a peculiar all female orphanage where her arrival was strangely anticipated by the inhabitants, and greeted by some with ire. Ultimately, young Natalie must quickly learn to fend for herself against bullies, unexplained forces, a male suitor, and something lurking for revenge. Does she have both the strength and resolve, and can she set the past aside, to uncover the secrets necessary in order to fulfill her destiny? 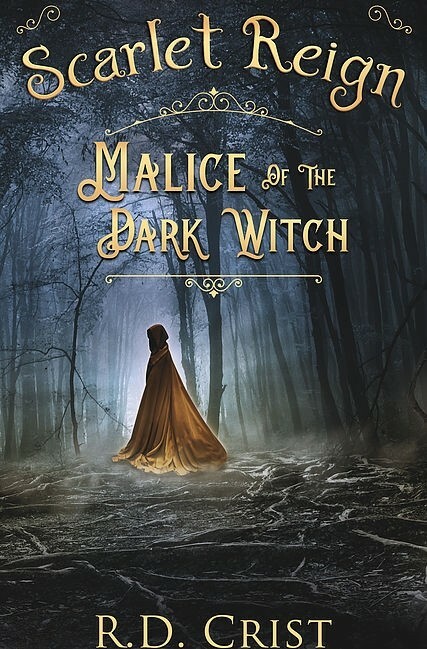 Five winners will each receive a signed paperback copy of SCARLET REIGN: MALICE OF THE DARK WITCH. This cover is beautiful and your YA readers will love it. The synopsis is intriguing.Good luck with the novel. Wow, this sounds so good. I like the cover, it's very dark and mysterious. What a Beautiful Cover in every way. The book cover in whole is pure perfection!!! I NEED to read this book. Looks amazing and sounds like this book is totally up my alley!! I can't wait to read this book! The cover is dark and atmospheric. The story sounds really creepy and mysterious. The cover is very eye catching. The story itself sounds like something I would like. The dark cover matches the suspenseful synopsis. I like the book cover design. This sounds like a mysterious fantasy. Natalie sounds like a good character. Beautiful cover! Sounds so very good!